Angiosperm are a group of vascular land plants containing roughly 325,000 species. Like gymnosperms they produce seeds but they also have two structures that make them unique, namely flowers and fruit, in fact this group is often just called "flowering plants". Both of these structures play a key role in reproduction. 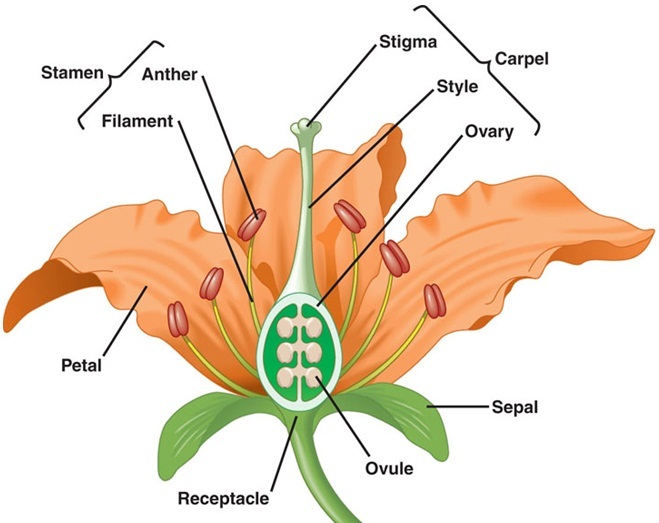 Flowers are a structure specialized for sexual reproduction. 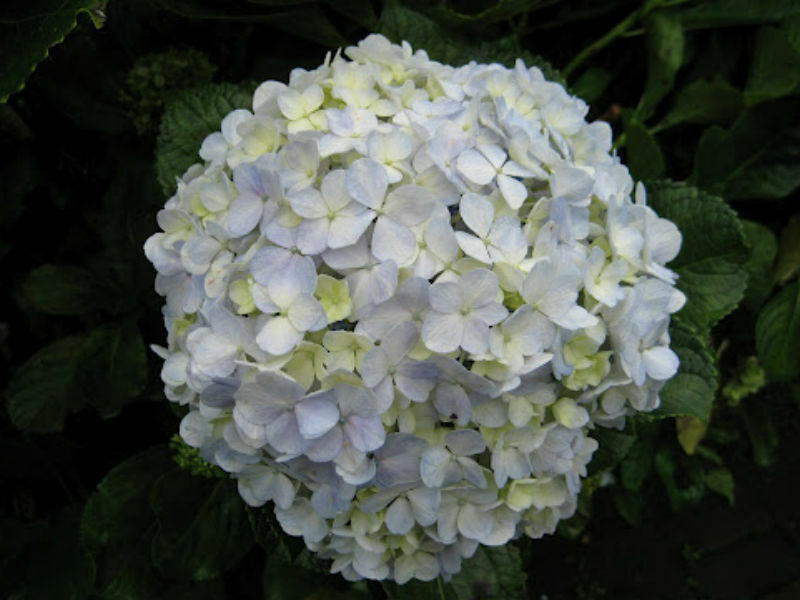 It is basically a shoot with modified leaves, consisting of sepals, petals, stamens and carpels. Sepals are located at the base and typically encase the the flower prior to bloom. The petals are inside sepals and are usually more vibrantly colored to attract insects and birds for pollination. Inside the petals are the stamens which ultimately produce pollen containing male gametophytes. Also within the petals is the carpel, where the ovaries are located and the female gametophytes are produced. Fruit protect seeds and help in their distribution. They are typically a mature ovary that thickens and encases the seed as it ripens. We're all familiar with the fleshy fruit of favorites like pears, apples and oranges but grains like rice and maize are also technically fruit. The structure of each determines its method of dispersal. While an apple might be consumed by an animal and it's seeds deposited far away in it's droppings, the fruit of dandelion are carried by the wind.